Ukrainian MP disappointed with Ukraine's vote in favor of anti-Israel UN resolution pledges to introduce bill to move embassy to Jerusalem. 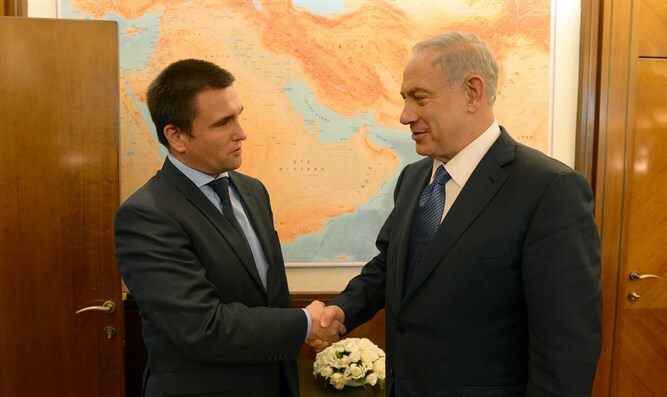 Israel summoned the Ukrainian ambassador and cancelled the planned visit of Ukrainian Prime Minister Volodymyr Groysman following Ukraine's vote in favor of an anti-Israel resolution at the UN Security Council last week. Feldman wrote in his Facebook post that Ukraine's vote in favor of the resolution had upset him. "Of course, the consequence of our vote has disappointed Israelis and seriously undermines what we have achieved,” he wrote.